"Lord Digby Jones was inspiring, an incredibly motivational speaker I have heard nothing but good things from the audience of 250 people." 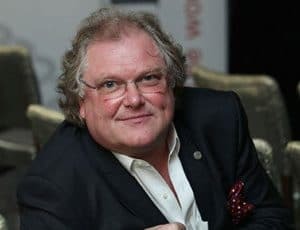 Keynote Speaker Lord Digby Jones learned a lot about the principals of business from an early age, and after twenty years at Edge & Ellison he achieved a senior partner position. 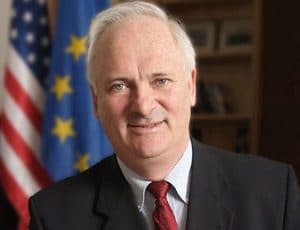 In 2005 he was knighted for his services to business and in 2007 he was appointed Minister of State for UK Trade & Investment taking the title, Digby, Lord Jones of Birmingham Kt. He is known for his candid, up-front attitude in his many media appearances. Digby Jones was introduced to business early. Some of his first memories are of life in a corner shop where he lived with his family. The shop was in Alvechurch just outside Birmingham. He remembers spending a lot of time pressed against the shop window observing the new Minis leave the factory destined for showrooms across the UK and the world. It was here he learnt the first principals of business – important values that have stuck with him. At an early age he discovered the importance of good customer care as well as the concept of profit and loss, the essence of good business management became an everyday occurrence for the young boy. In the mid-sixties, when supermarkets emerged in the area, he also learned about the vulnerability of business. His parents sold the shop when he was ten years old, where his father became a full-time student, before he qualified as Probation Officer. Meanwhile his mother worked as an Assistant Physiotherapist at the local hospital. He thus became aware of two very different aspects of the public sector during this time period. Despite a childhood with little money, the Jones children had a good life with “much love” and “lots of laughter and fun”. Both of which made him appreciate the importance of family values as well as good money management. Digby attended Alvechurch Primary School, showing early promise winning a scholarship to Bromsgrove School, a Public School for Boys. Aside from studies he played rugby and hockey for the school and ultimately became Head Boy. Digby was ambitious and full of life, but was not afraid of the occasional prank. Unfortunately ‘streaking around the quadrangle’ because of a bet led to his expulsion only few days before he was due to leave school. During his three years with the Royal Navy Digby learnt about leadership, teamwork and the importance of constant communication. Upon graduating from University College London, Digby spent 20 years with Edge & Ellison, a Birmingham-based firm of lawyers, where he went from being Articled Clerk to Senior Partner. During these years he was very involved in all aspects of business from running the firm “as a business” to recruiting and managing several hundred employees. At this firm he developed a vision of business and its role in society, and began to believe firmly in socially inclusive wealth creation. He joined the CBI in 2000 where he put some of these ideas into action. As Director General he became known in the public arena especially for his open, up-front attitude in his many media appearances. He campaigned relentlessly on a range of issues including the move from traditional manufacturing of commodities to value-added, innovative products and services. His views on the Public Sector is still a subject of great debate. He has stressed that, “if fundamental reform does not take place, from working practices right through to pension provision, we will end up with an ever-diminishing private sector trying to pay for, and provide pensions for, an ever increasing and inefficient, unproductive, self-interested public sector”. In 2005 he was knighted and became Sir Digby Jones in the Queen’s New Years Honours List for his services to business. In 2006, upon leaving the CBI in 2006 he spent the next 12 months in the private sector as advisor to Deloitte and Barclays Capital, where he held a variety of non-executive board roles, and was the unpaid UK Skills Envoy. In this time he became outraged about the levels of adult illiteracy and innumeracy in the UK, and made the point that it will not be possible to have a safer and healthier society if people lack self-respect or aspiration. In July 2007 he was appointed Minister of State for UK Trade & Investment and became a life peer taking the title, Digby, Lord Jones of Birmingham Kt. Loyal to British business he spent the following 15 months “doing it in a different way”. He did not join the party of government and without the ambition to progress in politics he focused on the business of promoting Britain across the world, travelling to 31 countries. In addition to being an active crossbencher in the House of Lords he serves as Chairman of several industries including Triumph Motorcycles Limited, Chairman of Grove Industries, as well as several others. 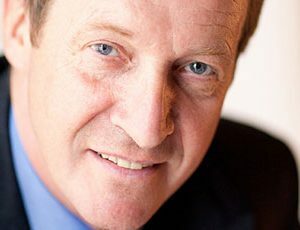 Additionally he is an advisor to Babcock International Group plc and Chairman of the Emergency Services Advisory Board of Babcock International Group plc. He advises in a number of other paid and unpaid roles, fulfilling his vision of promoting socially inclusive wealth creation. Topics are adapted to suit clients’ individual needs and preferences embracing insightful and topical views on the world’s economies; the changing face of business in the 21st century; and closer to home the ongoing public versus private sector debates. His seminars on leadership and management are much in demand. Lord Digby Jones was inspiring, an incredibly motivational speakerI have heard nothing but good things from the audience of 250 people.